Our second ever graduation ceremony is nearly upon us! 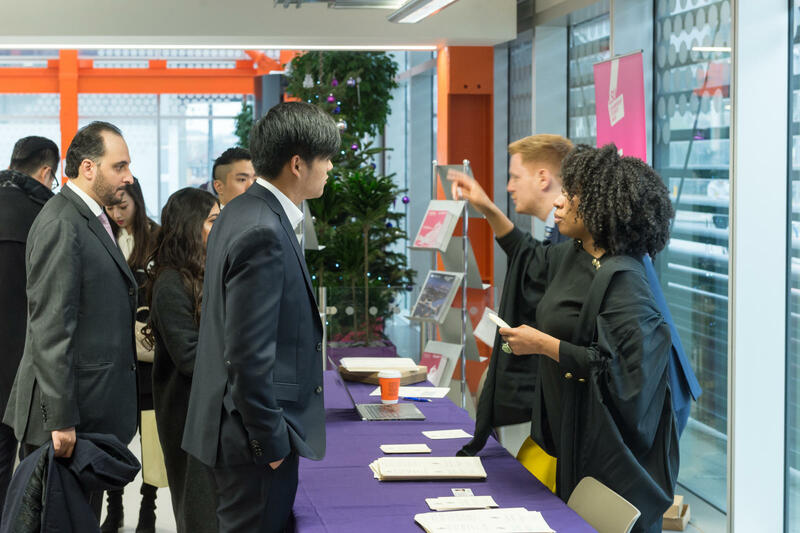 On Thursday 14th December at 11am, nearly 400 Loughborough University London students will formally receive their certificates inside Here East’s stunning Theatre on the Queen Elizabeth Olympic Park. If you’re one of them, here’s 10 tips to prepare you for your special day! 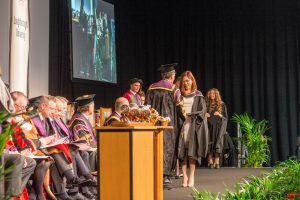 1) If we could offer you just one piece of advice ahead of the ceremony, it would be this: ensure that you arrive in plenty of time to register your attendance. Registration will open at 8.30am and you’ll need your graduation e-ticket with you. Once registered, you can collect your gown and hat from outside the Theatre. 2) As part of the registration process, you’ll be asked by our Alumni team to check your contact details. 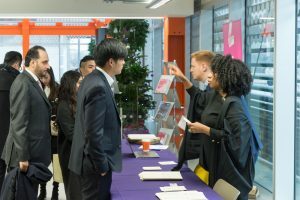 Updating your details will mean you’ll receive important news and updates from the Loughborough family, including the monthly Alumni newsletter, which is full of news, events and discounts from across the globe. 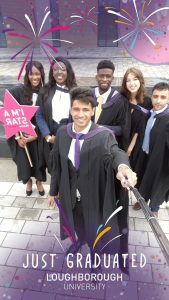 Plus, checking your details with our Alumni team will enable you to collect your FREE graduation gift from outside the Theatre. 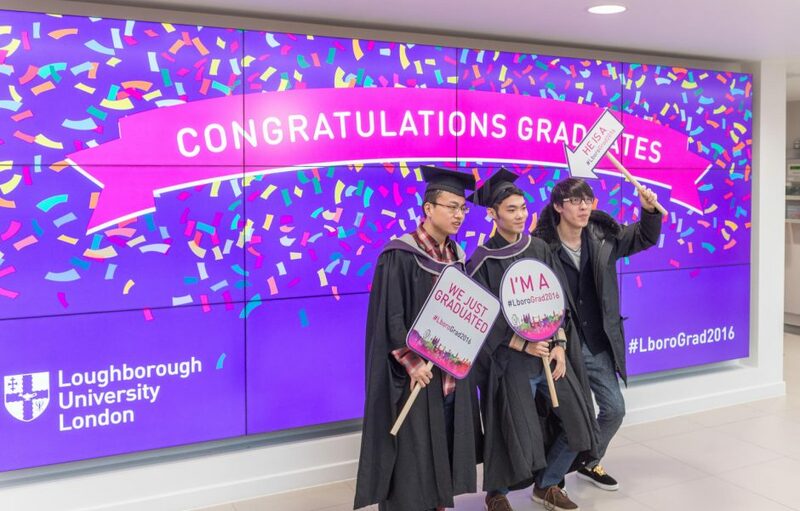 You’ll get a choice of Loughborough University London memorabilia to choose from, so that you can keep a token of your experience with you forever! 3) If you’d like to have professional photographs taken in your gown, the photographer will be located outside the Theatre both before and after the ceremony. The photographers have a variety of photography packages to choose from, both in advance and on the day. For more information, click here. 4) If you’re on Snapchat, make sure you check out our special graduation filters that will be available throughout the day. 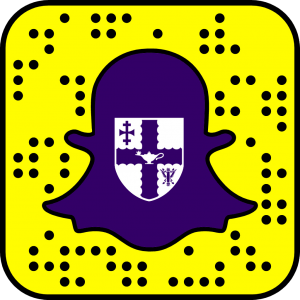 Send your snaps to lborouniversity for your chance to feature on the University’s official #lborograd2017 snap story! 5) Following the ceremony, make sure you stop by the campus to enjoy drinks and canapes with your course mates, academics and support staff. Friends and family are also welcome to the drinks reception, and can be given a quick tour of the building if you like! 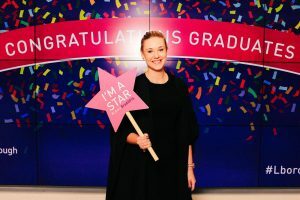 6) No graduation is complete without a series of photos with your loved ones, and thanks to our boomerang enabled photo booth, everyone can enjoy having their photo taken! Prime your friends and family with our graduation props and let the fun begin! 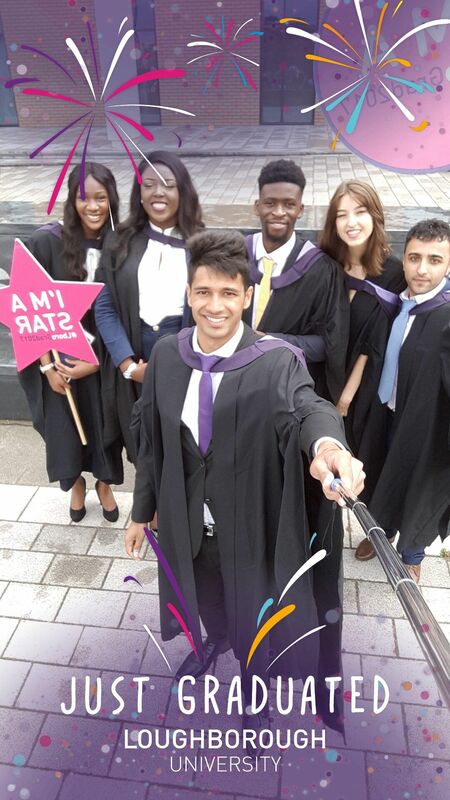 8) If you’re not ready to leave the Loughborough family, have a chat to us about opportunities for further study in Loughborough or in London. Representatives from our postgraduate research team will be on hand to chat about PhD study and our funding options for alumni. 9) However you choose to celebrate, make sure you share your moment by using the hashtag #LboroGrad2017 across all social media platforms. 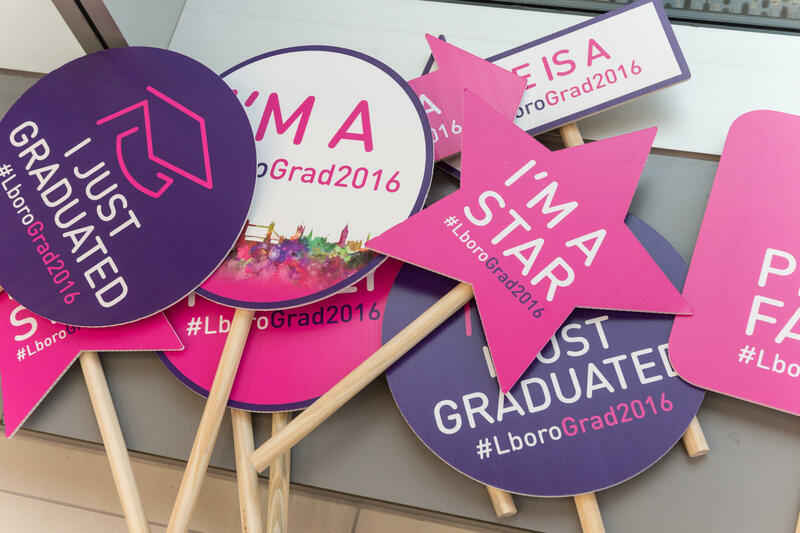 We’ll use your photos to populate our dedicated #lborograd2017 social media wall on campus, together with everyone else’s photos and posts from the day. 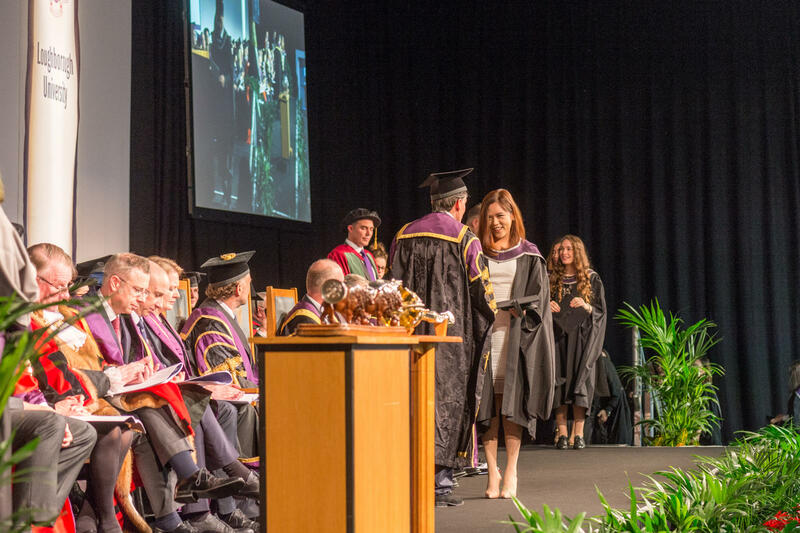 10) Please, please remember to return your gown and hat to before 3pm.. Ede and Ravenscroft will be leaving their spot outside the Here East Theatre at 3pm sharp, so we advise heading back to their stall in plenty of time to avoid any additional hire fees.